"You're a mean one, Mr. Grinch, you're a nasty wasty skunk!" 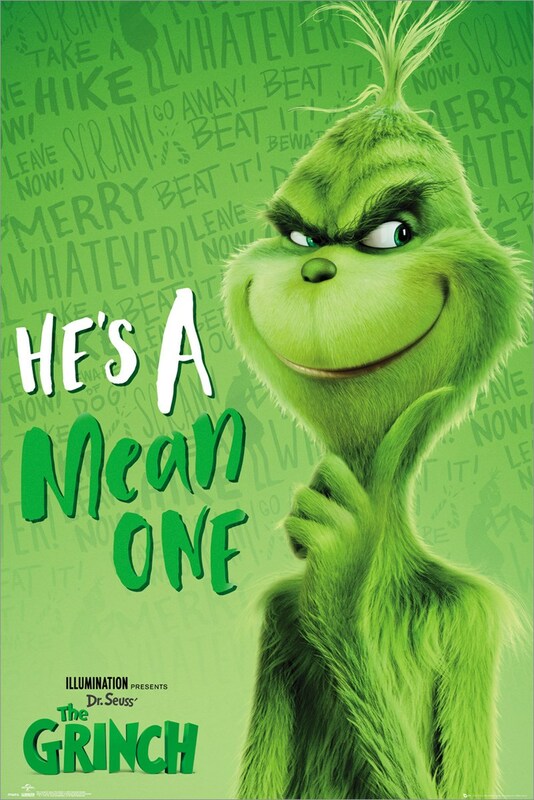 If can't wait to see this "bad banana with a greasy black peel" on the big screen once again, then hang this poster on your wall as you wait for The Grinch to steal Christmas. Official merchandise.